In the past year I have read through the book “One Thousand Gifts” by Ann Voskamp. It has taught me so much about living a life filled with and characterized by thanksgiving. The book encourages its readers to keep a gratitude journal. There’s no pressure to write a bunch of things you’re thankful for every day or within a specific amount of time. The things you do write do not have to be deep and spiritual, they can be very simple. I started doing this in a lovely little journal that one of my private clients gave to me for Christmas. At any time there may be a simple joy – a loving moment – a warm feeling in my heart. I just take a few seconds to jot it down and allow the beauty of gratitude to sink in a little bit deeper into my perspective. 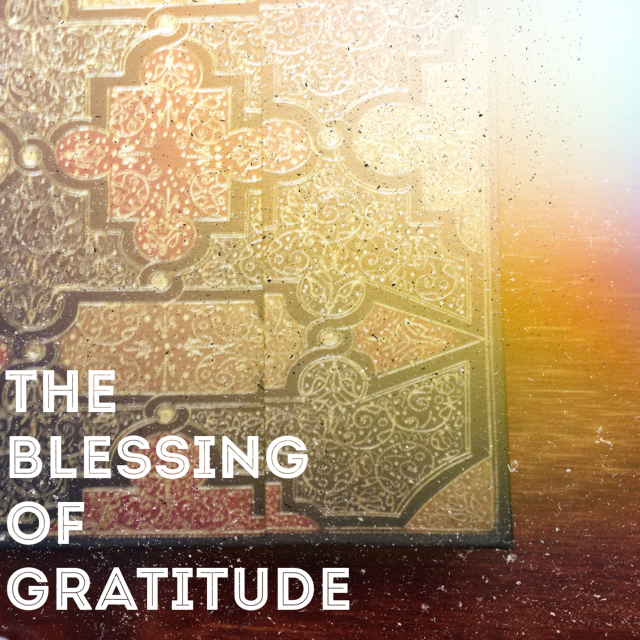 I didn’t realize, but this simple act – acknowledging gifts – was changing my life. Below are just a few of the blessings that this simple habit has brought about. When you are more aware of the things you have to be thankful for, you are able to keep a positive perspective. For me, it reminds me that God is good, loving, and he cares for me. These truths fill my heart with such great happiness. The burdens that life will inevitably hand me shift away from my focal point. They are replaced with an encouraged heart a joyful spirit. There is an ease that accompanies gratitude. It reminds me of the lightness that we carried with us as curious children learning about the world we are in and the people around us. Because saying “thank you” allows for us to stay joyful and uplifted, we are not only able to be more present with our current blessings but also we can cultivate a greater hope for what is to come. Instead of facing our futures with worry, anxiety, and fear – we are equipped to step into the great unknown with confidence and ease knowing that God has always provided what we need and he will continue to do so for the rest of eternity. One thing that has become very evident for me over the past few months is that my eyes have been opened to the needs of others. The more I live my life in gratitude, I shift my focus off of my self and onto people that need love and encouragement. God blesses us in our thanksgiving. One way that he does this is He brings people and relationships into our paths that we are able to make a tremendous, loving impact on. Vincent Van Gogh once said, “There is nothing more truly artistic than to love other people.” There is nothing more beautiful and comforting than being loved with God’s love by another person. These interactions enrich our relationships and strengthen the bond of community. Throughout my life, I have struggled with being vulnerable and open. It’s my nature to protect myself and take control of my life. An incredible thing that happens when we are able to be thankful is that we can feel the presence of God with us. When we are aware of His presence, we feel His peace and are able to relinquish our need for control and breathe freely in His midst. Ahh! Perfect peace. What more could we truly desire as a human soul? The ability to be in complete and utter solitude is something that my spirit craves. It’s a God-sized void in my heart that needs this. I have seen the “peace, which transcends all understanding” (Phil. 4:7) abundantly overflow in my life, filling that void above and beyond as I have surrendered my need for control and said two simple words: Thank You. May you go forth into this upcoming week with a thankful heart. Be encouraged friends. All of these gifts (and so much more!) await you.